Content by Tony Macklin. Originally published on July 13, 2015 @ tonymacklin.net. It's been a long time since I had dinner with Basil Rathbone. We argued about modern theatre. To my eternal regret, we didn't talk about Sherlock Holmes. Now, decades later, in Mr. Holmes, Sherlock is in his dotage. It's a hard thing to process. Basil Rathbone is long gone. And Sherlock is 93 years old. Eons before Benedict Cumberbatch, Robert Downey, Jr., et al., Rathbone put his inimitable stamp on the role. Now Sir Ian McKellen has the unenviable task of taking the once-master detective and logician down the fading path of deterioration. Fortunately, McKellen has taken Shakespeare's Lear down the taxing path of age. I don't know of anyone who makes Shakespeare's language more natural. So, he knows how to bring grace and humanity to old age. McKellen - 17 years younger than his character - has nearly-unparalleled experience. He has weathered the storm as both Lear and Holmes. Perhaps director Bill Condon's Mr. Holmes is most reminiscent of director Billy Wilder's The Private Life of Sherlock Holmes (1970), with Robert Stephens as Sherlock. Both films are steeped in melancholy, with Holmes attracted to an enigmatic woman. Director Guy Ritchie's Sherlock Holmes' films - with Robert Downey, Jr. - were over the top. "Elementary explosions, Watson." 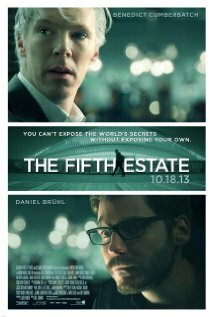 Benedict Cumberbatch's tv shows were entertaining but gimmicky. 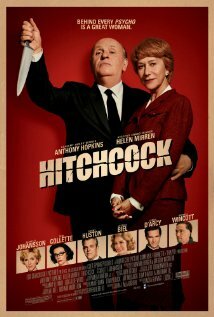 Condon and McKellen offer a Holmes who is unsettled and regretful. And their vision is more human. McKellen joins Condon again 17 years after their wonderful collaboration in Gods and Monsters (1998), for which Condon received an Oscar for his screenplay. In Mr. Holmes, screenwriter Jeffrey Hatcher adapts a novel by Mitch Conlin. But the spirit of McKellen and Condon prevails. 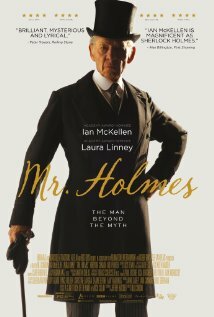 Mr. Holmes is the story of how the iconic detective tries to solve his last case, which has eluded and tormented him for 30 years. He is in self-imposed "exile" in the countryside in Sussex. He lives in a farmhouse with a housekeeper (Laura Linney) and her young son Roger (Milo Parker). He calls himself a "hobbyist," and his major hobby is beekeeping. As the film begins in 1947, Sherlock is on a train. He is returning from a trip to Japan, where he has gone in search of "prickly ash," which may slow his decline. He fears he is slipping into decrepitude and senility. On the train, Holmes is in a compartment with a woman and her son. Holmes waspishly tells the boy that it's not a bee on the outside of the window. It's a dangerous wasp. From the very beginning, we know Mr. Holmes is going to be about character. Character in a film released in the summer? What a concept. Back at home, Holmes is writing about his last case. He rejects Watson's previous description of it. His last case still obsesses him. He has always been an advocate of fact and has no regard for fiction. Holmes wants to correct many of the misconceptions that Watson created in his written accounts. Holmes did not wear a deerstalker hat, and he preferred a cigar to a pipe. And he needs to put the last case to final rest. We are shown scenes of that case. A husband (Patrick Kennedy) approaches Holmes because his wife (Hattie Morahan of tv's The Bletchley Circle) has changed and her change is unfathomable. Holmes gets involved in trying to resolve matters - which has dire results. Back in the film's present, young Roger is extremely bright, and he helps keep Holmes perceptive. He asks questions and forges a symbiotic relationship with the old man. Holmes teaches him about observation and also about caring for the bees. The bees become a major force in their relationship. In Mr. Holmes, Sherlock learns a formidable lesson about fiction. He ultimately realizes that fiction can be important and life-changing. It doesn't take a logician to realize that precious truth. I wonder what Basil Rathbone thought.